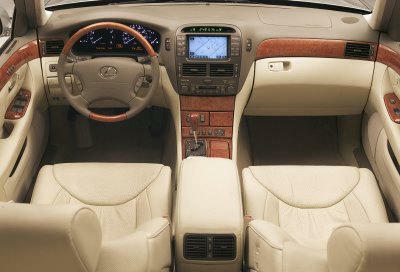 With the turbocharged 416hp 3.5L V6 engine, 10-speed shiftable automatic transmission, and rear-wheel drive, the 2006 Lexus LS has been averaging 24.45 MPG (miles per gallon). The 2006 Lexus LSs in this analysis were driven mostly on the highway at an average speed of 67 miles per hour (about 54.4 percent of the miles driven). The rest of the miles were in the city (15.3 percent), in heavy traffic (2.2 percent), and in the suburbs (0 percent). In addition, the average 2006 Lexus LS in this analysis was driven on flat terrain with a light foot and the AC on only some of the time. 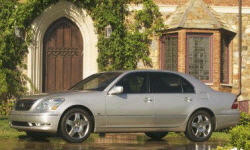 None of our members have yet commented on the real gas mileage of the 2006 Lexus LS. Unlike other fuel economy surveys, TrueDelta's Real-World Gas Mileage Survey includes questions about how and where a car was driven. So you can get an idea of the Lexus LS's real-world MPG based on how and where you drive a car.